In this fast-paced, high-tech world we’re living in, anyone interested in advancing their career or business is truly missing out if they haven’t stamped their brand online via LinkedIn. 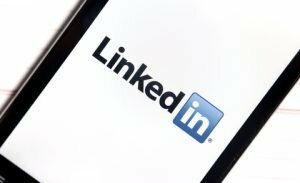 The facts are that most recruiters now turn to LinkedIn to assess prospective employees, and that most well-known organisations are using this platform to both promote and interact with business prospects. There are currently more than 350 million people globally that use LinkedIn – a number that is steadily climbing. That’s a whole lot of opportunities to both showcase your talents and to keep reminding potential recruiters, customers and business partners about what you have on offer. As pointed out by US business consultant Bobby Darnell below, it’s a highly beneficial way of staying top-of-mind professionally without over-exposing your brand. It’s your online business card: As I’ve touched on before, LinkedIn is a convenient way of keeping your contact details handy for potential career opportunities. There’s no doubt less need for physical business cards now that LinkedIn has taken off. Furthermore, the structured format of the LinkedIn profile template enables you to set up an online professional resume that’s easy for readers to interpret and navigate. You can showcase & confirm your skills: In addition to being able to provide physical evidence of what you can deliver via attached documents and media, LinkedIn also encourages recommendations and testimonials from fellow users. In such a competitive marketplace, it’s essential for most brands and businesses to prove they can ‘walk the talk’ in regards to what they’re selling, to foster confidence and commitment from customers. Benefit from industry expert networking: Regular updates and interactions on LinkedIn will help validate you as both an expert and a professional collaborator in your field. A key ‘social media’ element of LinkedIn is the ability to share information and learn from fellow members via groups, posts and articles – seize these opportunities to engage with like-minded professionals and always keep it ‘professional’. You’re more exposed to marketplace trends: Anyone who logs in to LinkedIn regularly would know there’s a plethora of information that’s posted. Use this data forum to increase your industry knowledge and to keep abreast of shifts and trends in your field of expertise – following the main ‘movers and shakers’ is an ideal way to achieve this. There’s greater scope for career prospects: Reiterating that there are 380+ million users on LinkedIn, if you’re fully utilising the benefits of this professional platform, there are likely to be opportunities presented to you that you hadn’t even thought about. Hence, the more you market your brand via your LinkedIn profile and/or company page, and the more you engage with other members, the more likely you are to be considered.